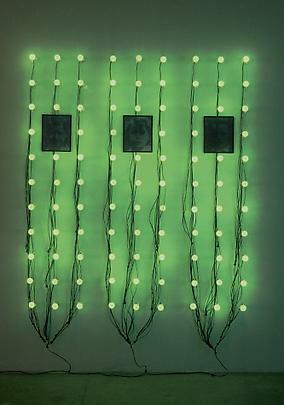 The Marian Goodman Gallery is very pleased to announce an exhibition of new work by Christian Boltanski. The exhibition, titled "Coming and Going", will take place in two parts. Part I will open to the public on Wednesday, February 21st, from 6 to 8 pm, and will be on view through Saturday, March 17th. Part II will open to the public on Wednesday, March 21st , from 6 to 8 pm, and will be on view through Saturday, April 14th. The gallery hours are Monday through Saturday, 10 am to 6 pm. 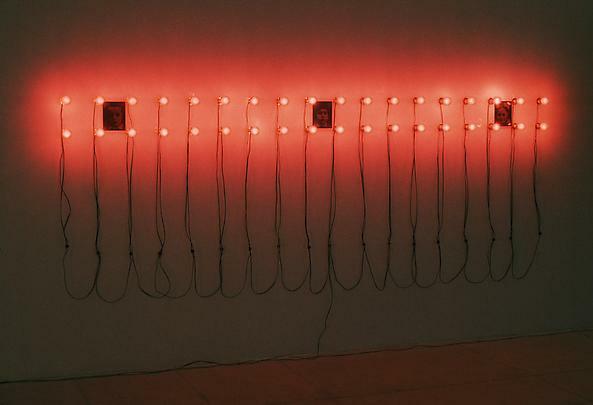 For this exhibition, Boltanski will explore the many layers embedded in the notion of reflection. Part I of "Coming and Going" will consist of an installation of new works, respectively titled "Lumieres" and "Miroirs" . Part II of the exhibition will consist of a another new work , "Reflexion", which was presented this past year (2000) at the Museum of Fine Arts in Boston. "Reflexion" extends his use of photographs of unknown subjects, this time mechanically removed from their sources, reproduced on fabric, and illuminated by spot or 'interrogation' lamps. 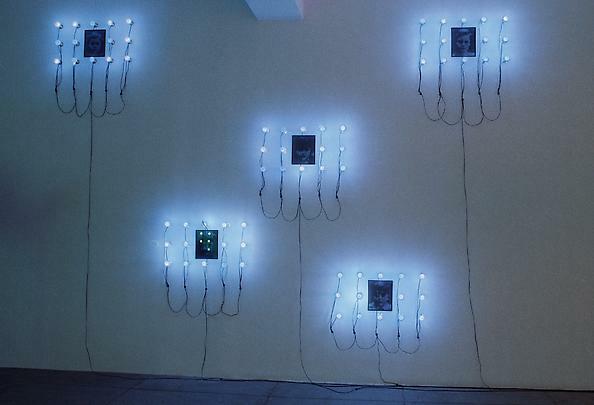 Christian Boltanski has received international attention for his large body of work, which has included seminal work in photography, installation, and film, as well as artist's books. In the late 1960s he turned to films and installations in which he often used masked actors and life-sized dolls, or alternatively, gravitated towards hand-made book and mail art. 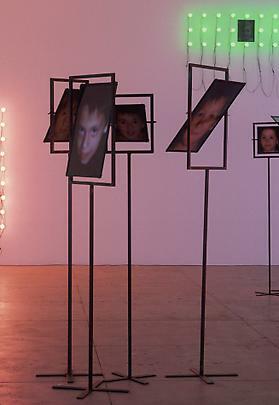 Appearing off and on in his own work until 1969, when he removed himself from his work, Boltanski concentrated on making color photography until 1984, anticipating the set-up photography of the late 1970s and early 80s. For the past decade and a half, he has been creating installations that explore his longstanding interest in identity, narrative and biography. 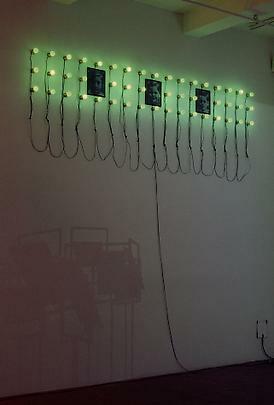 In these haunting installations which use light bulbs, shadows, blurred 2nd or 3rd-generation prints made from found or borrowed family photos, clothing, and linen, the artist presents personal histories which expose photography's ties to memory, loss, and mourning, as well as its vulnerabilities to the claim of truth. 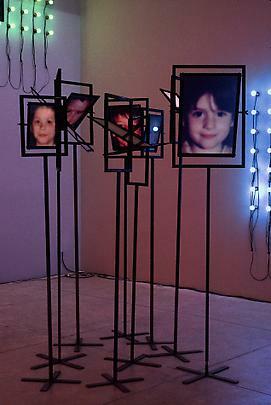 Through the appropriation of amateur photography and the methodology of inventory, presentation, and display, Boltanski's seemingly objective archive of the artifacts of everyday life (a family snapshot; an article of clothing) can be seen as an attempt to reconstitute history, collective memory, and individual childhood(s). In reconstructing family histories, he is engaged simultaneously in an inventory of the real and the willing creation of myth. 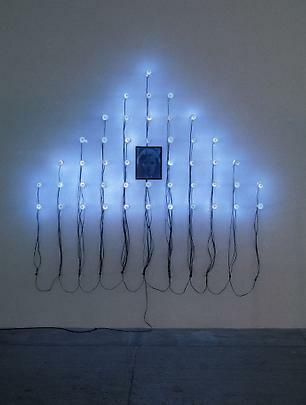 Christian Boltanski was born in Paris in 1944. His work has been widely exhibited internationally, and he has had exhibitions at such museums as: ARC/ Musée d'art moderne de la ville de Paris, Paris; Centro Gallego de arte contemporanea, Santiago de Compostela; Kunsthalle Wien, Vienna; the Arken Museum for Moderne Kunst, Copenhagen; Museum of Contemporary Art, Helsinki; Villa Medici, Rome; Konsthalle, Malmo; The National Museum of Contemporary Art, Oslo; the Museum Ludwig, Cologne; Musée de Grenoble; the Stedelijk van Abbemuseum, Eindhoven; the Whitechapel Art Gallery, London; the Ydessa Hendeles Foundation, Toronto, and the Museo Nacional Centro de Arte Reina Sofia, Madrid. He was a participant in Documenta in 1987 and in 1972, and the Venice Biennale in 1993 and 1986. 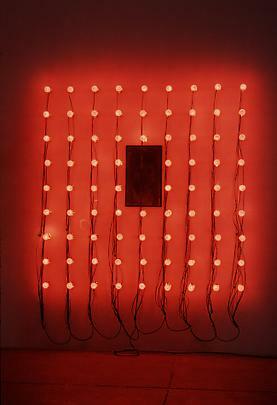 His exhibitions in the United States have included Lessons of Darkness, which was presented at the Museum of Contemporary Art, Chicago, The Museum of Contemporary Art, Los Angeles, The New Museum, New York, the University Art Museum, Berkeley, as well as The Vancouver Art Gallery, Vancouver and The Power Plant, Toronto. In 1991 he was included in The Carnegie International at the Carnegie Museum, Pittsburgh. He has exhibited at numerous other venues as well, including the Museum of Fine Arts, Boston; the Kemper Museum of Contemporary Art, Kansas City; the Public Art Fund, and the New York Public Library, New York; and the Contemporary Art Museum, Houston. Upcoming projects include solo exhibitions at the Dessau Kunsthalle, Germany in June 2001, and at the Ujaztowski Castel Warsaw, Poland, in September 2001. 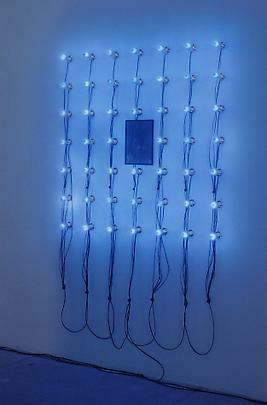 Christian Boltanski's work is the subject of the monograph titled Christian Boltanski (London, 1997, published by Phaidon Press, London), as well as another, Christian Boltanski, by Lynn Gumpert (Paris, 1994, published by Flammarion, Paris).